Wistco produces a variety of coated steel pipes in accordance with CAN, AS, DIN, JIS, AWWA and other international standards.The company’s three layer polyethylene coating features low maintenance cost for long-term with superior corrosion protection. 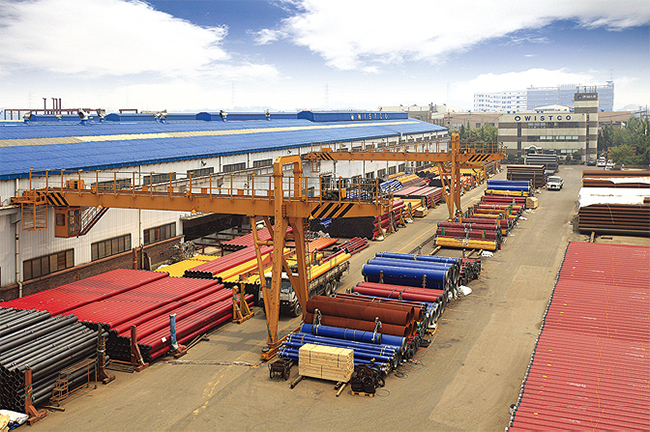 Wistco’s 3 LPE Coating Plant is a production line designed and applied to manufacture anticorrosive coating to the steel pipes which are used for transporting oil, gas, water, etc. Featuring an excellent resistance to cathodic disbondment, effective coating structure, high resistance to moisture, wide range of service temperatures, and excellent impact resistance, the company’s flagship 3-layer polyethylene coated steel pipe is used for corrosion-resistant underground pipelines for the transport of gas, oil, water, etc., and corrosion-resistant shore and onshore pipelines for the construction sites. Established in 1974, for nearly 40 years, the company only focused on manufacturing coated steel pipes for underground and diverse industrial steel pipes based upon the technology accumulated during the period. Besides, it has done its best to completely control the quality of its flagship product through fully utilizing its cutting edge facility and variety of test equipment. Most of its 3-layer polyethylene coating pipes are now being delivered to South America, Australia, etc.